If you fancy a bottle of Coke or a sugary snack but don’t have the cash, you can indulge your sweet tooth by adding a buck fifty to your credit card bill. Several vending machines throughout Kwantlen give students the option to swipe their VISA or Mastercard, but that’s a convenience students can’t use when it comes time to pay their tuition. 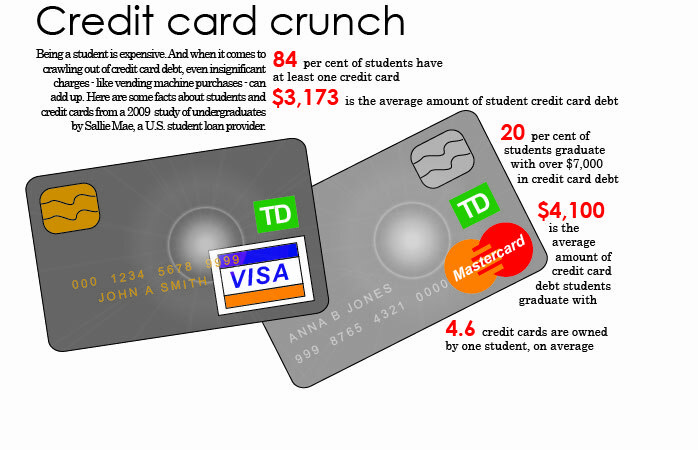 The school chose to end credit card payment for tuition beginning in the fall 2010 semester, explaining the transaction fees credit companies charge is “quite absorbent,” especially when thousands of students pay their tuition during the same period. The university has stated that it expects to save $250,000. The money will go to students in the form of scholarships and bursaries. Kwantlen isn’t the first post-secondary institution to implement the change. Both the University of British Columbia and Simon Fraser University have also stopped accepting credit cards as a method of tuition payment. On the Kwantlen website, it states that the only things domestic students can’t pay with a credit card are tuition, student fees and KSA fees. Other fees and services are payable with credit.